Our March/April issue includes a story on prospecting in the Black Hills, where hobby gold miners still carry pans and pickaxes deep into our mountain valleys. 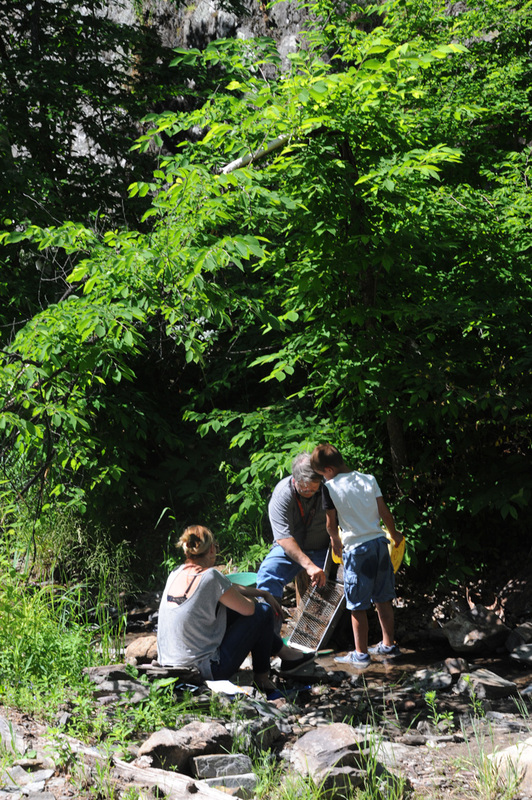 Our founder Bernie Hunhoff, editor Katie Hunhoff and her son Steven visited a claim to sift for gold and take some photos. Here are some photos that didn’t make the magazine. Steven, Gary Mallams and Don Hamm hike to a mining claim in the Black Hills near Lead. 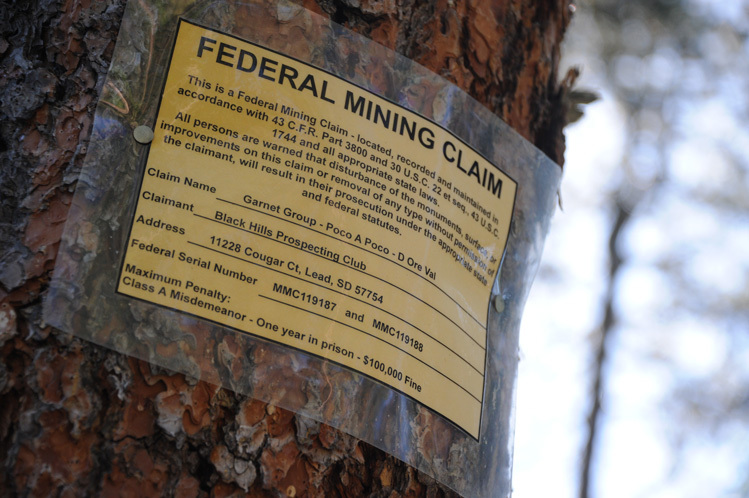 The land under most claims remains the property of the federal government. Prospectors are free to take any gold they find, but they have no ownership stake in the land. 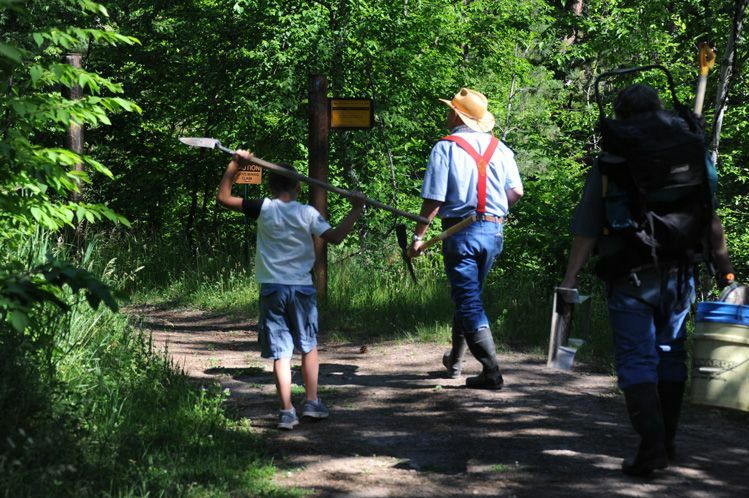 Prospectors start with placer deposits, which are old stream beds that contain loose soil and gravel eroded from the Black Hills and washed down into valleys. 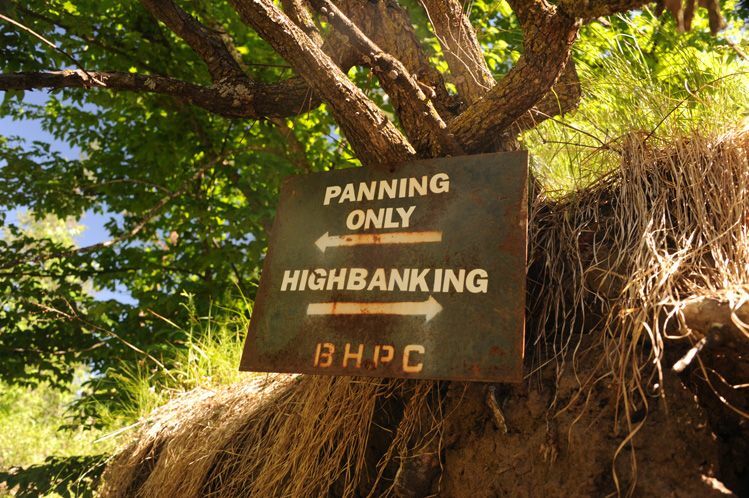 The process of panning for gold hasn’t changed much since the Deadwood gold rush of 1876, but panning equipment has been upgraded. 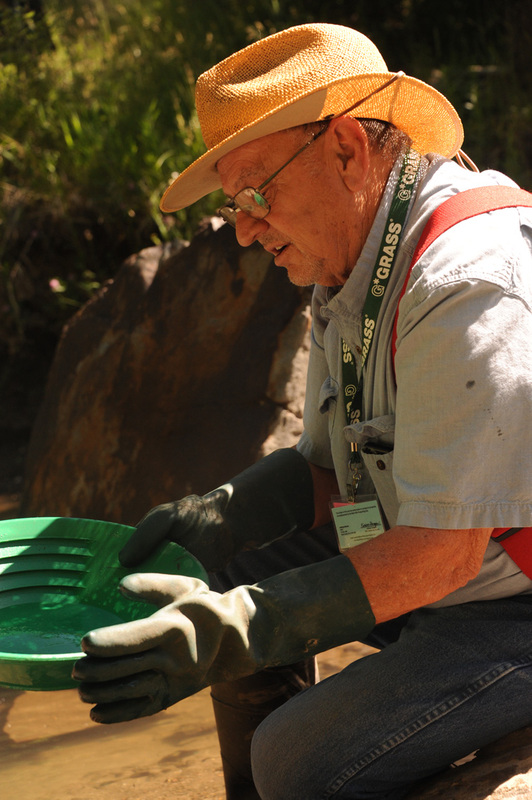 Rather than metal pans, today’s prospectors often prefer pans made of soft rubber that can be twisted and bent to better control the water swishing around the bottom. Don Hamm lives on a patented claim along Deadman’s Creek near Rockerville, where he enjoys teaching his grandkids how to pan. “You dig in the dirt and you can usually find gold,” he says. “Once they find gold, they’re hooked."